The 350,000-square-foot home on New Hampshire Avenue is 84 percent leased by law firm Akin Gump Strauss Hauer & Feld, which is relocating to a new headquarters after 25 years at that location. 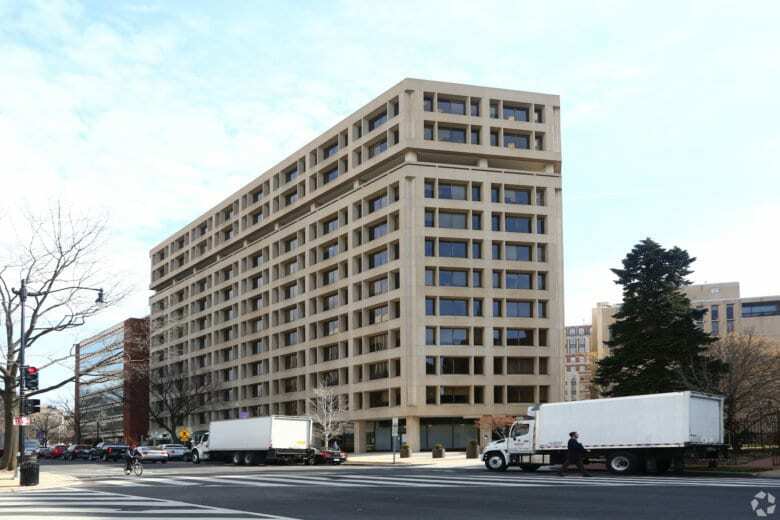 WASHINGTON — The Meridian Group, through a joint venture with affiliates of WeWork Property Advisors, acquired 1333 New Hampshire Ave. NW in Dupont Circle from Boston Properties for $136.5 million. The 350,000-square-foot building is 84 percent leased by law firm Akin Gump Strauss Hauer & Feld, which is relocating to a new headquarters after 25 years at the current address. Meridian will renovate the property. Affiliates of WeWork Property Advisors are contributing 50 percent of the equity. Collins Ege at Eastdil Secured represented Boston Properties in this transaction, and Nicholas Seidenberg at Eastdil Secured represented the Meridian Group in its senior secured financing. WeWork will lease 100,000 square feet of the building for new coworking space. Renovations, scheduled to begin in 2019 and be completed by summer 2020, will include an indoor/outdoor penthouse level, and other interior and exterior upgrades. Akin Gump will move in August 2019 to its new headquarters at Alexandria Court, a project at 2001 K St., N.W. which is scheduled for completion next year. Akin Gump has leased 185,000 square feet on the top four floors of one of new buildings.